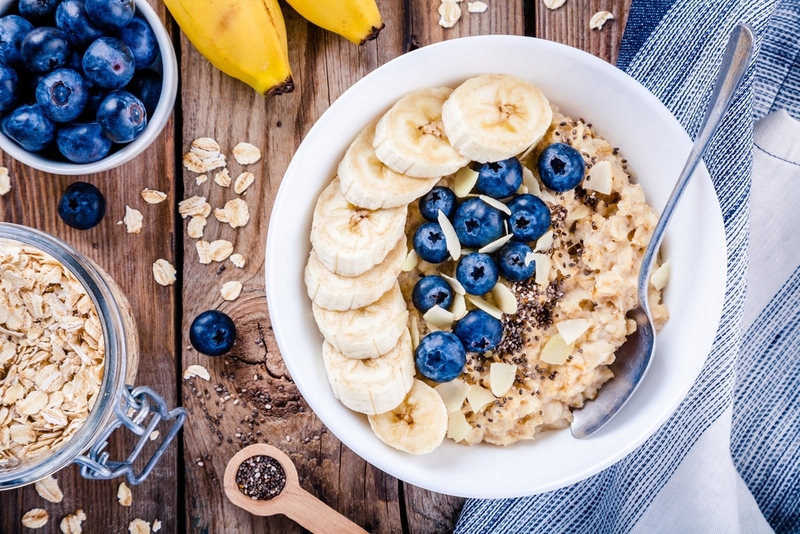 Get your morning off to a great start by supercharging your oatmeal with EVOO. By adding olive oil to this traditional breakfast staple, you will add a key source of antioxidants and heart healthy monounsaturated fats to your morning meal. EVOO complements the sweeter flavors of the bananas and blueberries nicely, creating a savory, almost umami taste. It also helps create a richer and more smooth texture; perfect for a hearty breakfast before skiing or hiking.